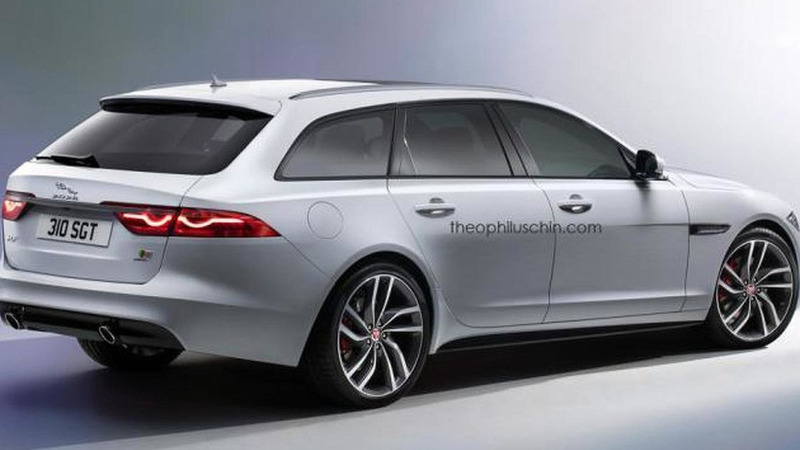 Theophilus Chin has released a couple of renders with the second generation Jaguar XF Sportbrake. At the beginning of this month, Jaguar unveiled the all-new 2016 XF mid-size sedan at the New York Auto Show and it will likely take about a year until the more practical wagon version will be out. It's not that hard to imagine how the car will look like as only the rear end will be modified by receiving bigger third side windows and a longer overhang granting a more spacious trunk compared to the sedan which can accommodate up 540 liters. TC envisioned the Jaguar XF Sportbrake in the more appealing S guise which will get a slightly more aggressive body matched by a V6 3.0-liter supercharged engine with 380 PS (279 kW) and 450 Nm. Before this model comes out, Jaguar will introduce an XE Sportbrake likely later this year which should provide an accurate image of what to expect from its bigger sibling taking into consideration the sedan versions of the XE and XF look very much alike.